The views expressed on air during Toys & Tech of the Trade do not represent the views of the RAGE Works staff, partners or affiliates. Listener discretion is advised. 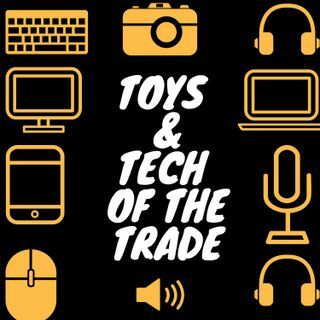 Genius Games Founder and CEO John Coveyou is our guest for a special episode of Toys & Tech of the Trade. Learn how this former soldier leveraged crowdfunding and a love for science into a brand that has seen its products featured in publications such as Gizmodo, Popular Science and The Wall Street Journal ... See More just to name a few. John’s story is one of sacrifice and perseverance that we hope lights the fire in you to chase your dream and see it to fruition. Genius Game’s next title is Nerd Words: Science which kicks off its Kickstarter campaign now. You learn more about Nerd Words: Science and contribute to the campaign here.